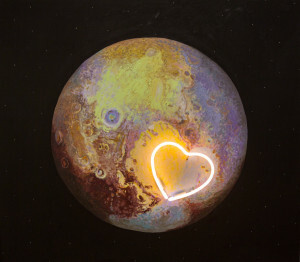 “Pluto is for Lovers” will be on display at the Art from the Heartland hosted by the Indianapolis Art Center. The exhibition will run June 10-August 6 and will display contemporary work from artists in surrounding states. There will be an opening reception and awards ceremony on June 10th.